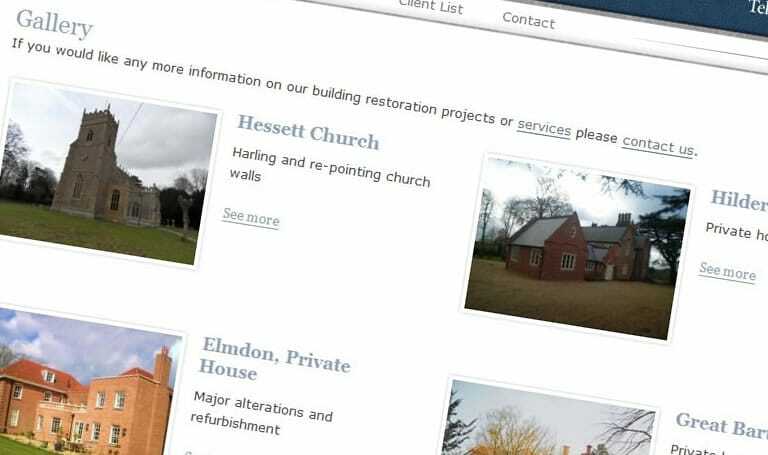 F. A. Valiant & Son specialise in Church and Listed Building restoration work as well as the building and the renovation of high quality homes and extensions throughout East Anglia. There are some fantastic images of their work on the site – and its nice to see such dedication and craftsmanship! The web design itself is very understated and a traditional feel was sought throughout. Behind the scenes however the site is much more modern and upto date. Built onto a CMS and fully up-datable its also ready for sections such as a blog, twitter feed etc to be turned on should the client request it in future. As well as web design and development we also provided some basic SEO and copy-writing for the project.